More About Books in the Fireplace. The two main reasons that I decorate, renovate, rearrange and work on the house (constantly) are because: 1) I enjoy being in a beautiful space and 2) I enjoy being creative. Ultimately life is about the creation of beauty and perception of beauty through our senses is it not? 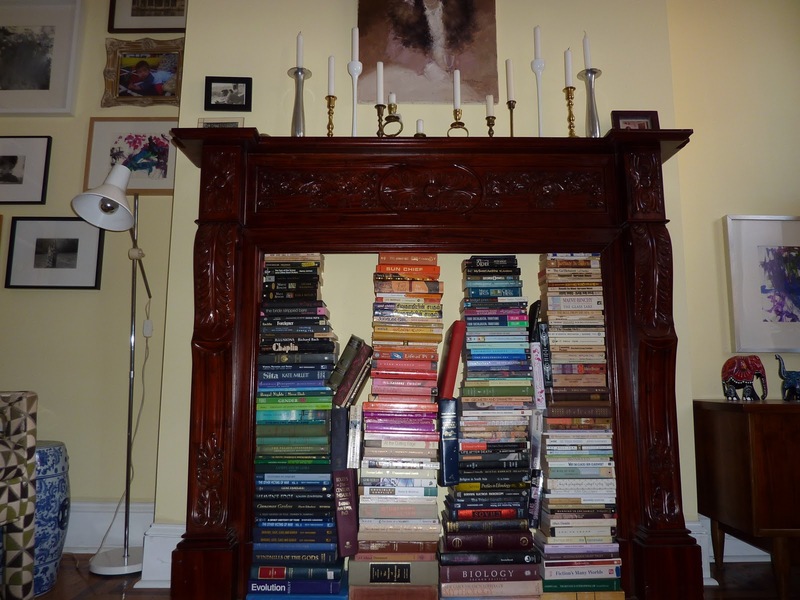 What does this have to do with the books in the fireplace? Well Kiran and I were sick and stuck at home recently. So I decided to color code the books in the fireplace (something I have been meaning to do). It was a fun project for us to do together and the result is fabulous (at least it looks a million times better than it used to look). Being sick is never fun, but being sick and taking care of a sick child is so much worse! Little projects like this kept us sane and it was a lot of fun.